Daniel Norgren is a Swedish singer-songwriter working through a small indie label called Superpuma Records and has been doing so since 2006. The experience of Norgren’s music is marked by connection: the artist to the band, the audience to the music, and the body to the soul. The new album, Wooh Dang, out April 19, 2019 on Superpuma Records, will be Norgren’s first worldwide release. 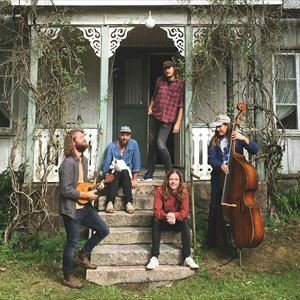 Wooh Dang was made during the Fall of 2018 in a 19th-century textile farmhouse in the woods near Norgren’s home in Southwest Sweden together with old friends Anders Grahn (bass), Erik Berntsson (drums), and Andreas Filipsson (guitar and banjo) who also accompany the release tour.